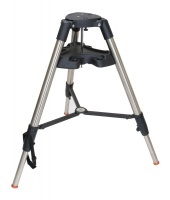 Heavy-duty alt-azimuth tripod features sturdy aluminum tripod with accessory tray and slow motion flex cables for fine adjustments. Features 1/4"x20 mounting screw. 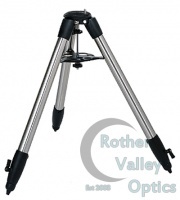 Very duty tripod available on it's own from the Celestron CG-5 mount kits. These are very sturdy tripods. 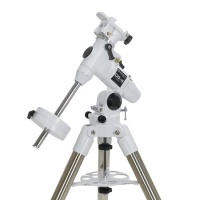 These will fit the CG-5 mounts as well as a nice upgrade for the Skywatcher EQ5 mounts. Please note this mount is a customer return so it has been opened, but it hasn't been removed from the packaging or used at any point. For eight years, Celestron’s workhorse CGEM mount lineup has been the German Equatorial backbone for telescopes ranging from 6 to 11 inches of aperture. Since that time, many more astro-imagers and planetarium controlled setups have emerged as backyard telescope technology has evolved.